Any of you guys tried jjimdak(찜닭) in Korea? “Jjimdak” means “Steamed Chicken” and it’s very popular among Korean or Foreigners. 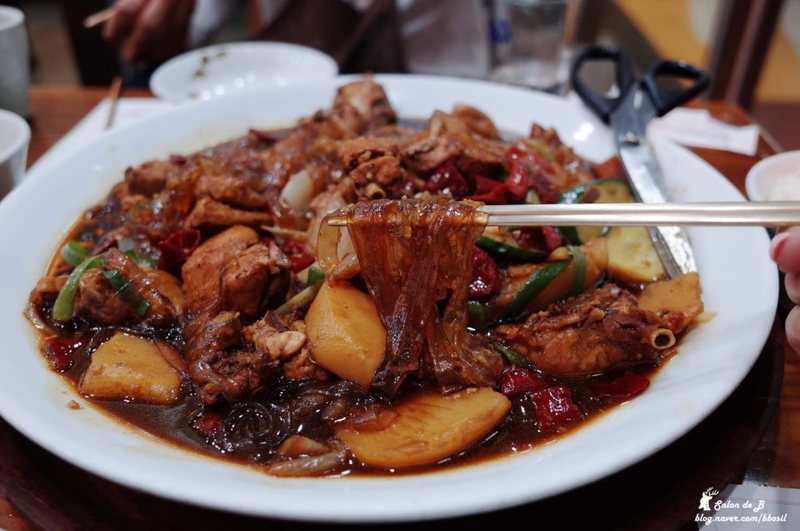 The origin of Jjimdak came from “Andong Jjimdak” made from chicken, cellophane noodles, various of vegetables such as [carrot, onions, potatoes & mores] and marinated in Ganjang (Korean fermented soy bean-based sauce). The pot is then boiled over high heat till the potato and carrot slices softened and the dish is completed by adding shredded scallions and sesame seed. Previously I had tried Andong Jjimdalk once and it taste really good. Yeolbong Jjimdak has a few outlets in Seoul and I visited their Ehwa Woman University branch that is situated at the second level. There some basic English description on the menu. This is how Ehwa Woman University Branch Look like!!! In here you can order accordingly to the spicy level (from 0 to 3) and whether you want boneless (mainly breast meat) or normal chicken. 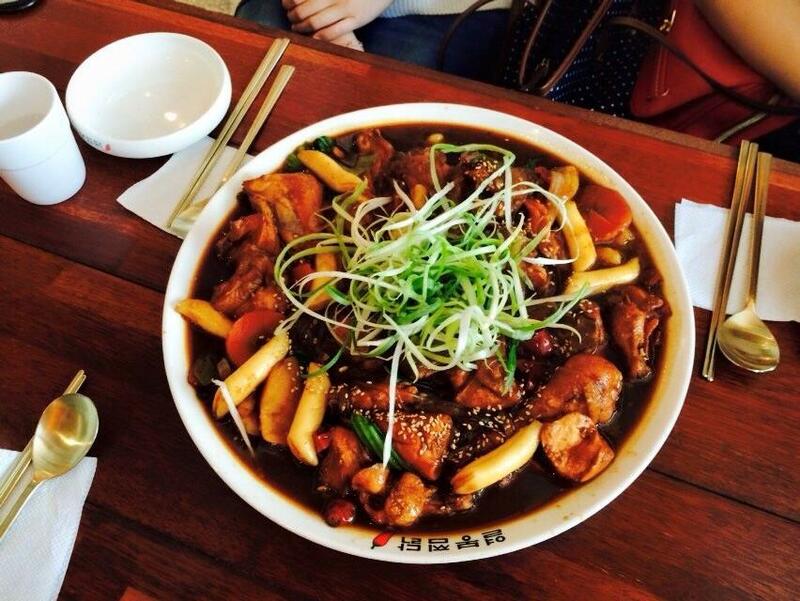 Or you can also add in tteokbbokki!! [awesome combination] (☆_☆) Or you can add on “seaweed rice balls”. The chicken is very tender. And there’s the starch noodle that is soaked in the thick and flavourful gravy. This starch Noodle is definitely a delight and it is good enough. Add on tteokbbokki!! seriously taste real good!!!! P.S: Remember to cut the noodle using their scissors before you had it. It’s a must. This entry was posted in FOOD and tagged Dining, dining in Seoul, food in Korea, food in seoul, jjimdalk, Korean food, Yeolbong Jjimdalk, 열봉찜닭.